This page is a representation of some of the projects I’ve done in my life. It is a representation of the graphic works I’ve done, although they’re pretty crappy for the most part. It’s just a fun thing I do, and I’d like to think i’ve become better at it over time. 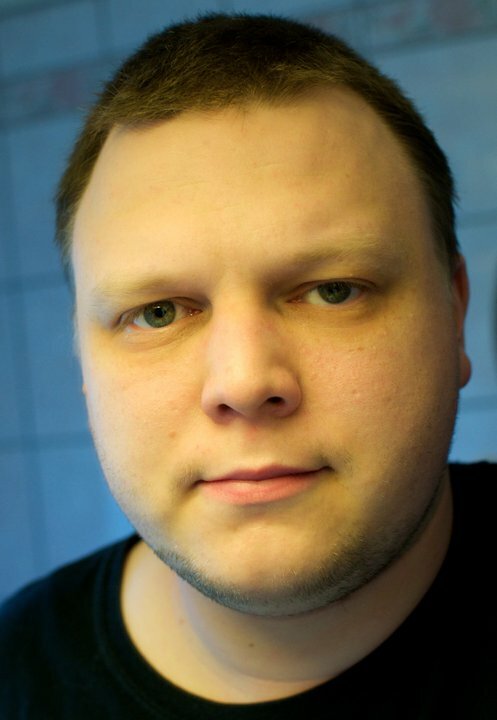 It does not contain all versions of all projects, as some have been lost in the time since I first developed them. Of notable interest, the FESIL intranet presentation project (that I was paid for, but they never used (to my knowledge)) is missing. The Madcap Project is also missing, but it was based on the same templates as Voll Beboerside and Rana Arbeiderparti. This was the first page I ever made, and it was created in GoLive Cyberstudio (the application that was later bought by Adobe and transformed into Adobe GoLive). It was developed from 1996 to 1999, and had a pretty extensive information piece about Star Wars in it. 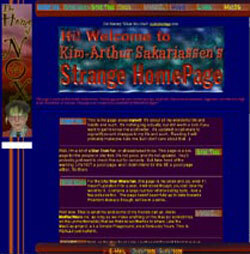 The last update (in 1999) was done as a joke, to make a really bad-looking site. I succeeded. This page was developed for a friend of mine, for a school project he had about norse mythology. The page can no longer be found on the internet. This was a crappy design I developed for someone. No longer online. 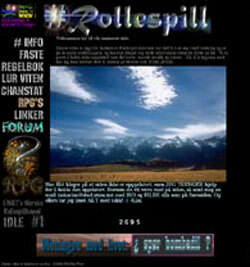 This page was developed for the irc-channel #rollespill on the EFNet network. It had user biographies, stats for the channel, rules, and general information about roleplaying games. It was a static page, later redesigned and developed as a dynamic page. I do not have a screenshot of the dynamic page, and both versions are long gone. This page is a redevelopment of what was originally released as a newspaper in over 2000 copies. This was our version of a school yearbook for the final year of school. The newspaper originally existed in a 40 page version, and all the material within has been retained for the webpage version. I made a site for my girlfriend, a fansite if you will. It is no longer availble. This was a dynamic page that we developed as part of a funny concept, where Bombadil would be answering any question asked. Sadly, domain and webserver was lost, and the page was never revived. Only the latest is available as screenshot. I developed the websites for RanaLAN, a LAN party in my hometime. Did two versions of it before I quit and someone else took over. My second personal website. It was online for almost 5 years, before the redesign that ultimately led to the site you’re looking at right now. For apparent reasons, it is no longer online. 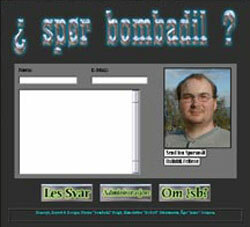 In 2003, I was assigned to develop a website for a local political party, Rana Arbeiderparti. The development was done completely dynamic, with an easy to use CMS system. Sadly, the party could never agree upon what they wanted to have on it. When time came to update it, they approached someone else, which resulted in a static website with frames. Open source packages such as phpBB were used. This page was developed for the place I used to live in. It is a kind of student dormitory. 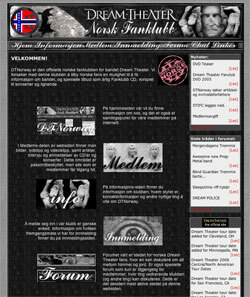 The design and scripts were based on the Rana Arbeiderparti webpage. 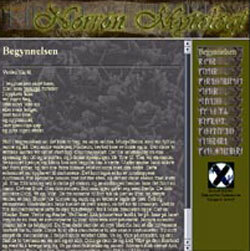 The page is still in use today, although managed by someone else. DTNorway is the fan club that I’ve been part of the management since 2002. This is the second design (although pretty similar to the first (but the first was based on a blue template – no longer existing). Of notable interest, the header was rotating based on which day it was (six headers, six degrees). 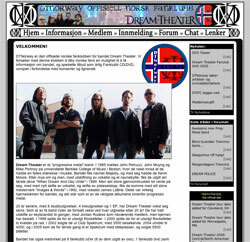 Third version of the DTNorway page, done by the Train of Thought artwork. 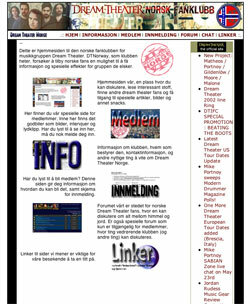 Fourth version of the DTNorway page, rebuilt using CSS and XHTML. Each new version of the website has also been improved with new features, such as extra bonus materials for the members (torrent files, complete fanzine-scans in pdf, forum, newscenter etc). 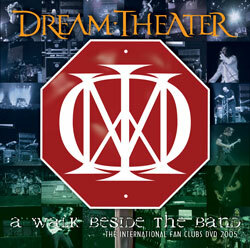 This was a project I supervised for the the Dream Theater International Fan Clubs i 2005. We edited several hours of video down to a 2 hour movie (of which 24 minutes was filmed and edited by myself), and authored a DVD of it. I was project supervisor, and also made the complete artwork for the dvd (of which the cover can be seen here). The fanzines are printed at about 300 copies. 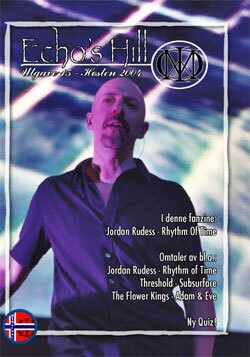 They contain interviews, album reviews, concert reviews, news and more about all current and previous dream theater members.